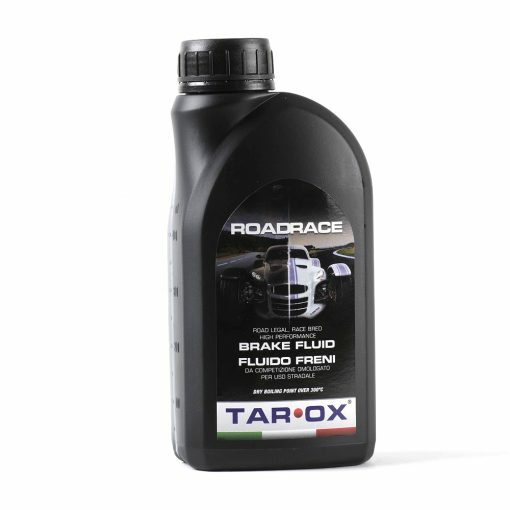 TAROX RoadRace brake fluid has been specially formulated as a high performance alternative to DOT 5.1 and offers the best of both worlds: it delivers outstanding performance under racing conditions where braking systems must operate at very high temperatures, yet it is suitable for everyday road use where it is essential that a brake fluid conforms to the requirements of car manufactures. It’s high boiling makes it ideal for virtually every race condition and exceeds the minimum requirements for even DOT 5 classified fluids. Yet unlike many high performance fluids it doesn’t require replacement at such short intervals. RoadRace fluid can be legally used in road vehicles in the USA, Canada and all EU countries and is perfectly suited for use with both TAROX and other aftermarket brake systems.